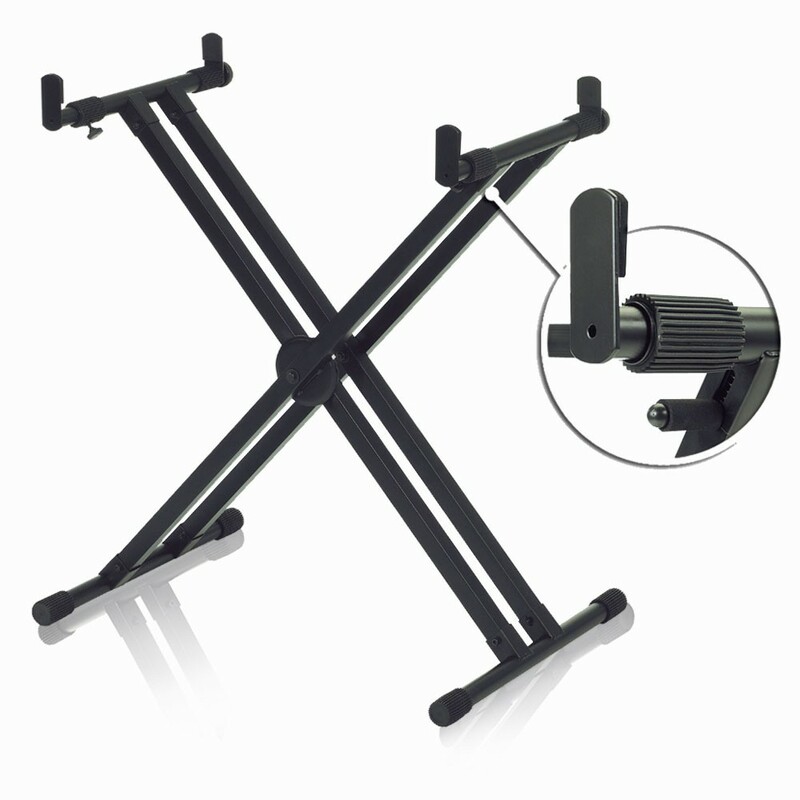 This heavy-duty professional stand is ideally suited for supporting Motif. Its telescoping design fastens securely in place, and a convenient spring-action hand lever lets you easily adjust playing height to six different settings that accommodate either standing or sitting. Large rubber feet keep this keyboard stand extremely stable. Please note: The Motif 8 does not fit when using the rotating arms on the top of the keyboard stand, as the Motif 8's width exceeds the amount of telescoping available.